Like most financial institutions (FIs), your bank or credit union is probably actively looking for prospective account holders. Increasingly, more of your prospects will be millennials captivated by smartphones and other mobile devices. Not only do they demand a mobile banking option from FIs, many of them are now on career tracks and expect an ongoing mobile banking experience par excellence – one providing the tools to handle growing financial needs for themselves and their families. To win millennial and other smartphone prospects over as account holders, an online banking platform designed to quickly and seamlessly bring new mobile features to market is a requirement. An adaptable architecture will also allow your institution to provide mobile banking to businesses (keep in mind that many new businesses are started by entrepreneurial millennials), and then to retain and grow these relationships through easy integration of the latest innovative, business solutions. In other words, a proactive, customer-friendly provider with a robust mobile banking roadmap is critical. Q2, for one, has this roadmap. We work with our client partners on an ongoing basis to determine and develop the mobile features that drive their institutions forward. Not only do we talk daily with our client partners, we have ongoing user sessions and an annual get-together called CONNECT. 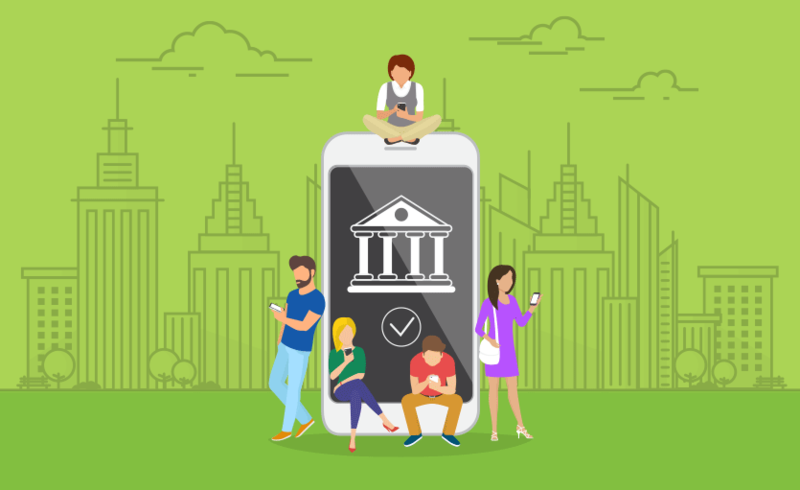 These features and solutions have served to generate new account holders (often millennials) and led to retaining many existing account holders interested in moving to mobile banking. Read more about these and other features in our new mobile solutions guide. Would you like to offer mobile banking at your FI? If your bank or credit union is gearing up to find the right platform for mobile banking, start with this exclusive checklist containing the pivotal questions to ask providers. The right provider will be open to these questions, understand your considerations, and offer a platform ready for account holder growth.